The purpose of this study was to determine whether the village headmen who are legally responsible in the Eastern Anatolian Region have sufficient knowledge regarding the follow-up of closed seasons or not, and to create an appropriate training program for the target audience, which would ensure more efficient control in rural areas and the village headmen’s efficient participation in the sustainability of hunting-wildlife. The study includes the Ardahan, Kars, Igdir, Agri, Van, Hakkari, Bitlis, Mus, Bingol, Elazig, Malatya, Tunceli, Erzincan and Erzurum provinces. Data collected with surveys through face to face interviews to be made with 346 people in 146 villages in total. The level of knowledge of the village headmen, members of board of alderman and, village watchmen on the issues such as wildlife, protection-control, legislation and public relations questioned, and a training program appropriate for the abovementioned audience created. Bu çalışmada, köy muhtarlıklarının avlanma ve av yasaklarının takibinde bilgi düzeyleri belirlenmiş, kırsal yörede avcılığın ve avlanmanın etkin kontrolünü sağlayacak bir eğitim programı geliştirilmiştir. Araştırma Doğu Anadolu Bölgesinde Ardahan, Kars, Iğdır, Ağrı, Van, Hakkâri, Bitlis, Muş, Bingöl, Elazığ, Malatya, Tunceli, Erzincan ve Erzurum olmak üzere 14 ilde yürütülmüş, 146 köyde, 346 kişiye anket uygulanarak veriler toplanmıştır. Çalışma ile köy muhtarlıklarının avcılığın ve avlanmanın denetimin-deki eksiklikleri, bu eksikliklerin giderilmesine yönelik eğitim tercihleri, av yaban hayatı ile ilgili görüş ve önerileri belirlenmiştir. Köy muhtarlarının, ihtiyar heyeti üyelerinin ve köy bekçilerinin av-yaban hayatının sürdürülebilirliğine etkin katılımlarının sağlanmasında, bu araştırma ile geliştirilen eğitim programı kullanılmalıdır. Hunting-wildlife, follow-up of closed seasons, village headman, board of alderman, training program. Ay Z, Bilgin F, Şafak I, Akkaş M. (2005) Determination of hunters profile in the Aegean Region of Turkey, Egean Forest Research Institute, Technical Bulletin No: 27:36, İzmir, p: 39. Bal H (2001) Scientific research methods and techniques, Suleyman Demirel University Press, Isparta, p: 389. Bekiroğlu S, Okan T (2007) Demographic and socioeconomic structure of the hunters: Example of Marmara and Aegean Regions, Acta Turcica, 1-1, 295-308. Bora M.E (2002) Towards sustainable hunting and wildlife, Ministry of Forestry, General Directorate of National Parks and Hunting-Wildlife, Ankara, p:384. Bora ME (2005a) Hunting history, psychology and hilosophy, In: Basic Training Manual for Sustainable Hunting (Volume 1), Bora ME (Ed. ), Dumat Ofset, Ankara, 27-56. Bora ME (2005b) Hunting laws regulating of land and water products, In: Basic Training Manual for Sustainable Hunting (Volume 2), Bora ME (Ed. ), Dumat Ofset, Ankara, 9-250. Elbek AG, Uysal, I, Saygı H (2002) A research on determination of land hunters profile in the Aegean Region in Turkey, İzmir, p:30. Fidan C, Orhan C, Yalçın O, Duran C, Güldaş N, Çelik, N (2007) Determination of the land hunters profile of East and Southeast Region in Turkey, Soutern Anatolia Research Instute, Technical Bulletin, Elazığ, 19-11. Geray U, Igırcık M (2002) Hunting and wildlife education in Turkey, J. Forestry Engineering, 39-8: 5-10. Geray U, Akesen A (2005) Sustainable management of hunting and wildlife resource, In: Basic Training Manual for Sustainable Hunting (Volume 1), Bora ME (Ed. ), Dumat Ofset, Ankara, 59-108. Huş S (1974) Game animals and hunting, Second Edition, Kurtulmuş Press, İstanbul, p:406. Igırcık M, Yadigar S, Bekiroğlu S, Okan T, Akkaş ME (2005) Hunter profile of Marmara Region. 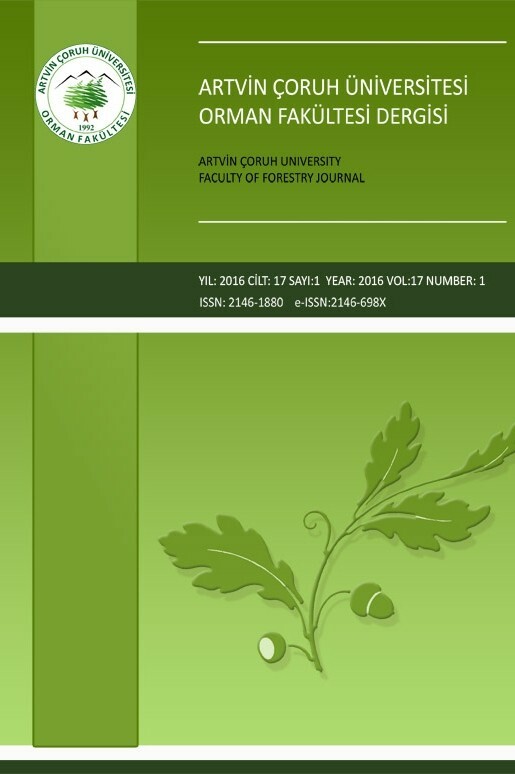 Egean Forest Research Institute, Technical Bulletin No: 29:38, İzmir, p: 27. Oğurlu I (2008) A review on our wildlife resources management, SDU Journal of Faculty of Forestry, 2, 35-88. Sachs L (1974) Angewandte Statistik, Planung und Auswertung Methoden und Modelle, ISBN: 3-540-06443-5, Berlin. Şafak I (2009) The cultural properties of hunters association members:Izmir Province example, Acta Turcica, 1-1, 327-343. SPSS (1988) User’s Guid: 3rd Edn. SPSS Inc. Chicago, IL. Steel RGD, Torrie, JH (1980) Principles and procedures of statistics. McGraw-Hill, New York, p: 633.